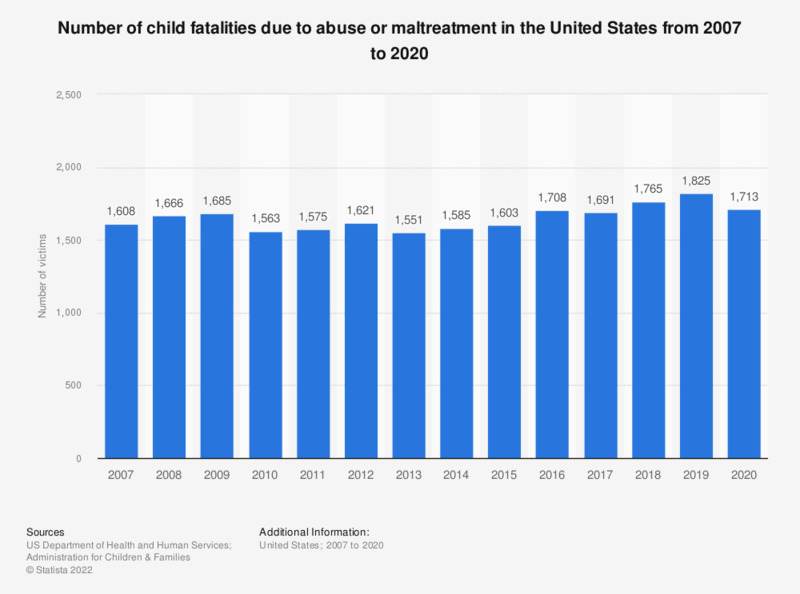 This statistic shows the number of child fatalities due to abuse or maltreatment in the U.S. from 2007 to 2017. In 2017, about 1,688 children died due to abuse. Numbers shown here are based on reports of 49-51 out of 52 U.S. states. Data for years 2007 to 2012 has been taken from previous releases.